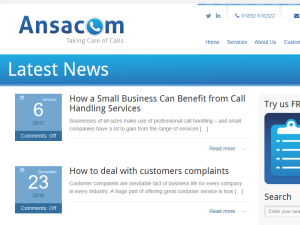 The Ansacom blog is a fantastic one-stop resource for all the information you need on call answering services and telemarketing. Covering everything from industry news and developments to advice, tips and guidance, the blog offers insight whether you are interested in using Ansacomâ€™s services or would just like more information on the value of business telecommunications. This what your Ansacom News Blog Ad will look like to visitors! Of course you will want to use keywords and ad targeting to get the most out of your ad campaign! So purchase an ad space today before there all gone! The post Call yourself: how to test your customer services appeared first on Ansacom. Every business would love to have more productive staff. Fortunately this is something that almost any company can achieve if it uses the right strategy and tools. Here are three ways that can help make your business more productive. Undoubtedly the most effective way to get your productivity out of your staff is to improve their morale and the amount of work satisfaction they get. When staff feel happy and that they are being treated with respect they are more likely to be motivated to do a great job to help the company succeed. Improving employee morale does not have to mean giving a pay rise. Consider carrying out anonymous survey of staff to find out what needs to be improved to help them feel more motivated. This is often the smartest to do it as you are addressing the real concerns of staff rather than assuming what is best for them. Answering the phone is a part of almost every business. Whether you are providing customer service, taking orders, negotiating with suppliers or simply fielding new enquiries, your team may have to deal with a huge number of phone calls every day. But while this is an inevitable part of running any organisation, it can also be a huge drain on productivity. This is especially true for small businesses – if you are a relatively small team of specialists, each member of staff will have important day-to-day roles to get on with. Having to constantly answer the phone can be at best a drain on resources, and at worst a waste of time. That’s why it can be a great idea to invest in call handling services. A professionally trained and highly experienced team can pick up all of your calls, dealing with any standard queries themselves, while taking a message or passing the call over to you, only if it is necessary. Many issues can be dealt with directly by the call staff so this can have the benefit of freeing up a significant amount of time for your staff. Another potential idea that you could implement into your business structure is flexible working. Standard shift patterns are becoming a thing of the past in many businesses, as employees prefer to structure their working day so that is more convenient for them. This has been shown to be an advantage for many companies. Flexible working won’t necessarily be a workable solution for every business and many owners and directors may be sceptical about whether it is right for their organisation. If this is the case for you it could be worth investigating the possibility of trying a flexible approach for a couple of months to see whether you see the benefits. The post Three ways to make your business more productive appeared first on Ansacom. Summer brings a challenge to any business because it is a popular time for staff to take annual leave. Whether they are jetting off to relax in the sunshine or just taking time off to look after their kids while school is out, summer holidays can present you with a number of logistical challenges. If you are small business that relies on each member of the team to handle incoming calls, having a few people out of the office at the same time can result in two problematic issues. Firstly, other members of staff will have to take on the burden of taking calls more often which can take them away from their regular working schedule. Secondly, over busy periods you might start to find that no-one is available to answer the phone, leading to unanswered calls and missed leads. Almost any business can begin to struggle if they don’t have as many members of staff available. So it’s important to have a solution in place. That’s why you should consider using professional call handling services. If you’re about to enter a period where you know you’re going to have members of staff out of the office, a highly trained call answering team can deal with your incoming calls for you. Skilled phone operatives will field initial calls, dealing with basic queries, taking messages and providing excellent customer service. Any messages are passed on immediately to you and your team so that you can deal with them at a convenient time. The call answering team will be personalised to your business to give a professional service to your potential clients and customers – just as if they were there in your office. 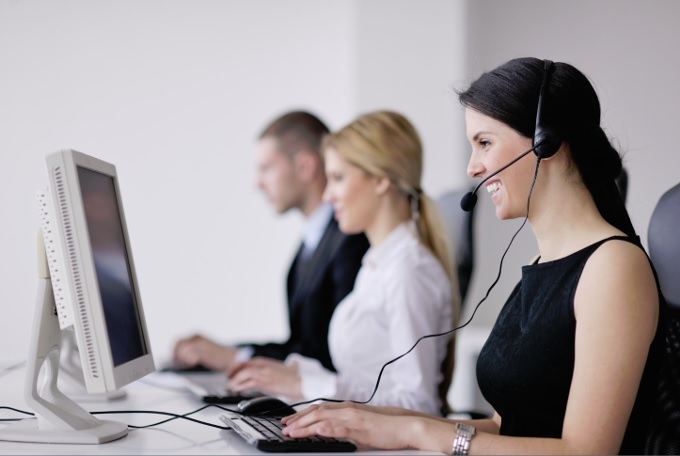 One of the major benefits of using call answering services is that they can work with your needs and requirements. It could be that you just need an overflow team to handle calls when you experience very high volumes. Alternatively, it may be the case that you would prefer the team to be the first point of contact for every incoming call. The post How to cover your business for summer holidays appeared first on Ansacom. The post The easy way to extend your opening hours appeared first on Ansacom. The post Four ways to make your business seem larger while your grow appeared first on Ansacom. Of course you never want your sales script to be too rigid – there’s nothing that puts off a potential customer than feeling like they are talking to a robot. But aside from leaving room for improvisation, it is also essential that your script should be ready to adapt depending on who you are talking to. You could find yourself pitching to a Marketing Manager, a Head of Sales or a Managing Director – and the features and benefits that you want to emphasise will vary drastically for each of these people. So it can be a great idea to have a plan in place for every scenario. Firstly, it’s important to point out that your sales script should never waste time. It might seem like a good idea to exchange pleasantries and to attempt to humanise yourself, but don’t forget that this is a business call, and if someone is busy with work, you had better have a good reason for interrupting them (not just to ask them how their day is going). Get to the point and introduce your product or service. It’s also important to be as specific as possible – talk up your product as soon as you can. Questions are a valuable weapon in the arsenal of the sales caller but it’s very important to use them in the right way. For example, you never should never ask a question that leads into a dead answer: “Your business sells office stationery. Is that right?” Instead try to ask open-ended questions where the person on the phone can give you an answer with information, you can then work off their answer in a way that is natural – the call should always feel like an organic conversation, rather than you trying to reach a specific line in a script. The post Three vital features of a fantastic sales script appeared first on Ansacom. If you are the owner of Ansacom News, or someone who enjoys this blog why not upgrade it to a Featured Listing or Permanent Listing?